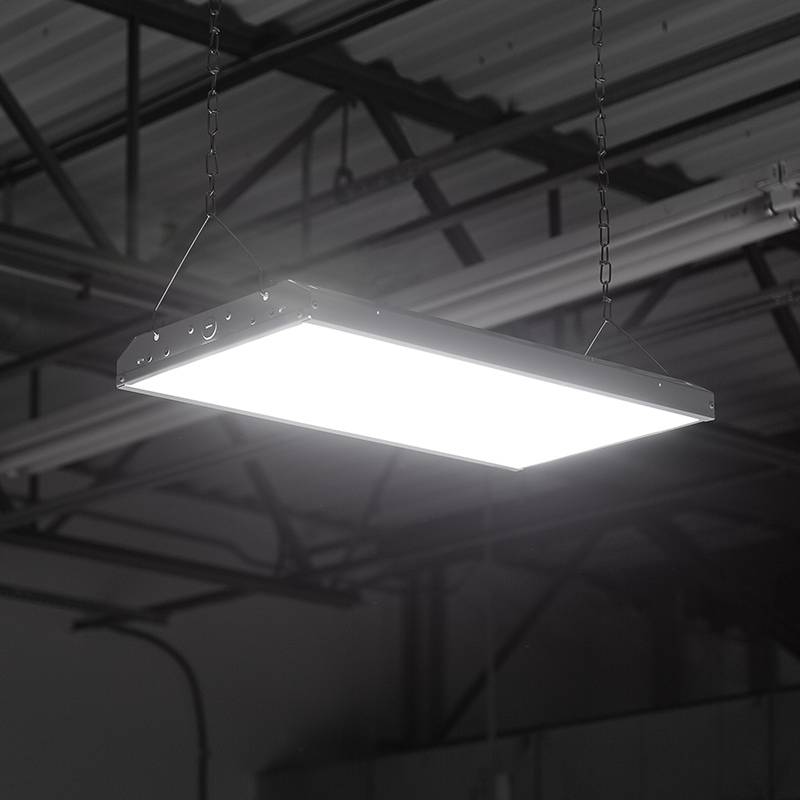 The 80-Watt Linear LED High-Bay Light emits 10,400 lumens of dimmable cool or natural white illumination. 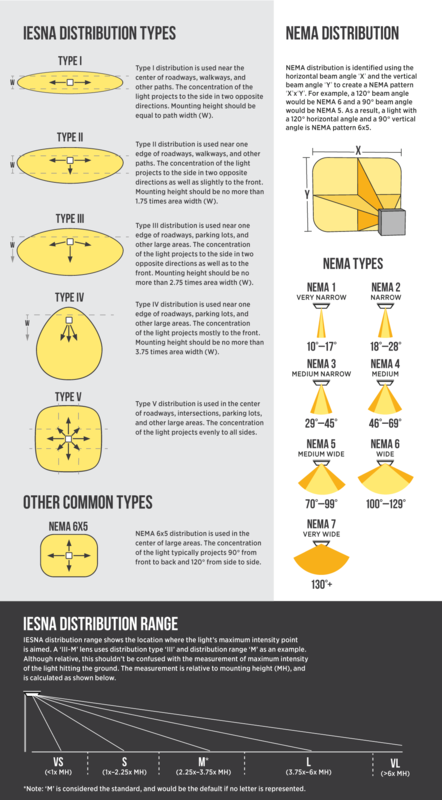 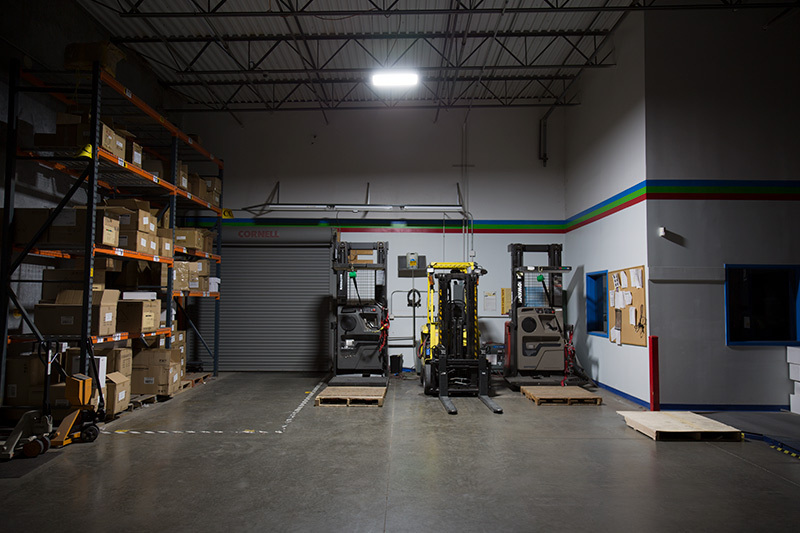 Output is equivalent to a 250 watt metal-halide bulb. 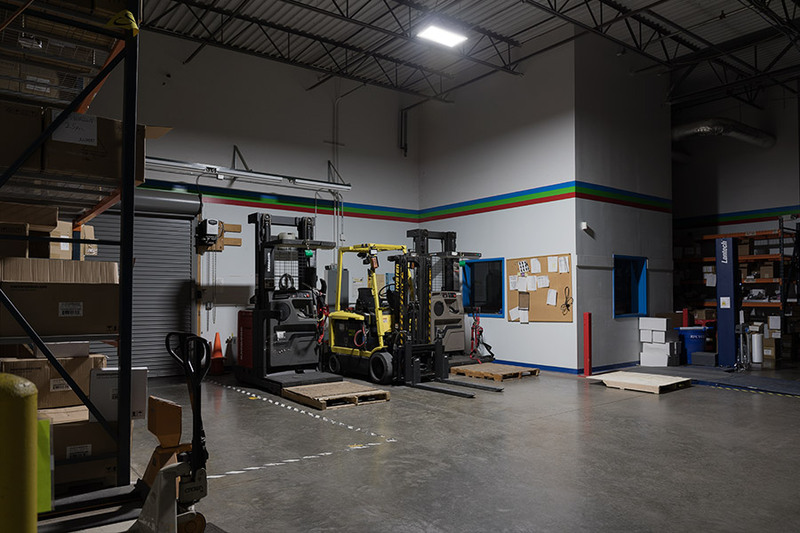 And with a life expectancy that's 5 times longer, the 2' LED light reduces costly repairs, disposal fees, and the need for replacements. 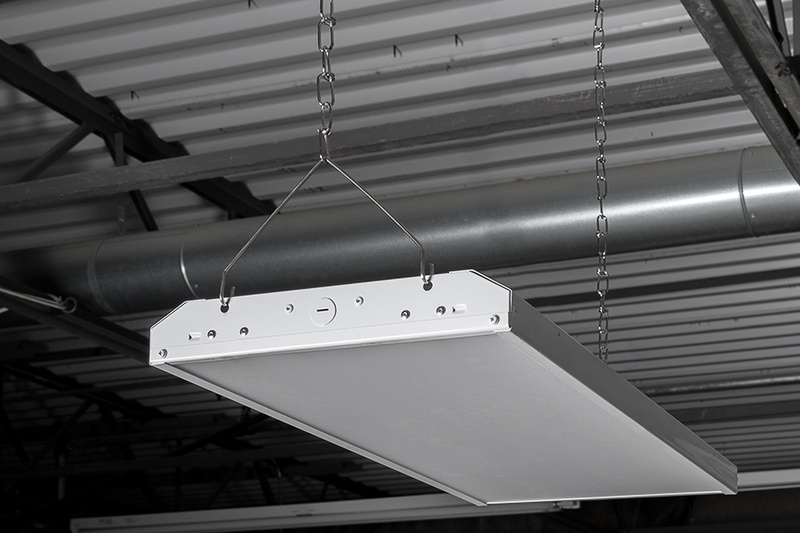 This durable light is constructed of a sheet steel housing with a frosted lens and operates within a wide 100-277 VAC range. 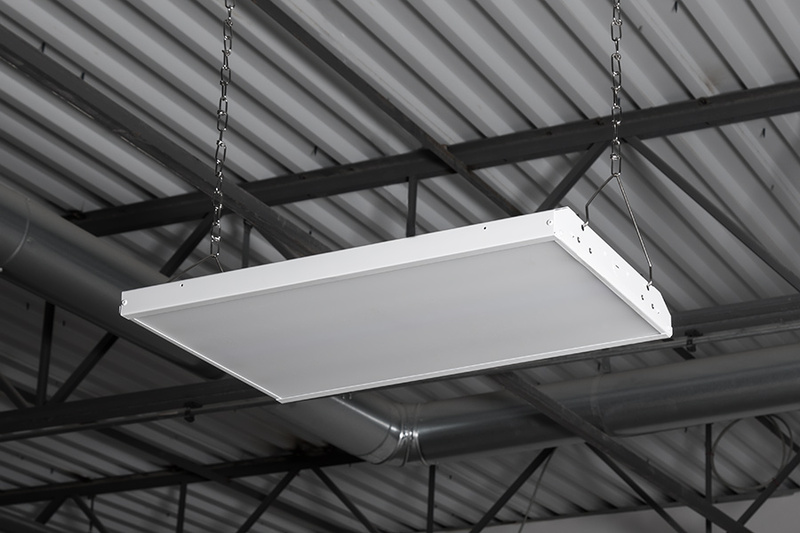 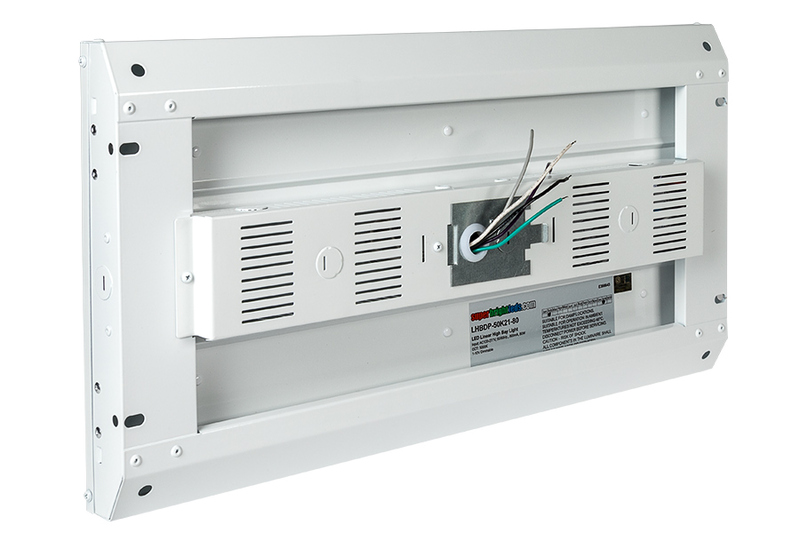 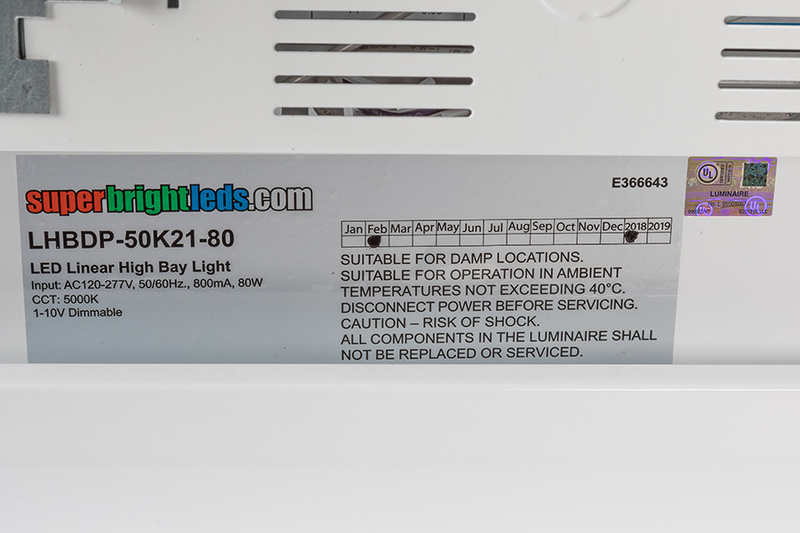 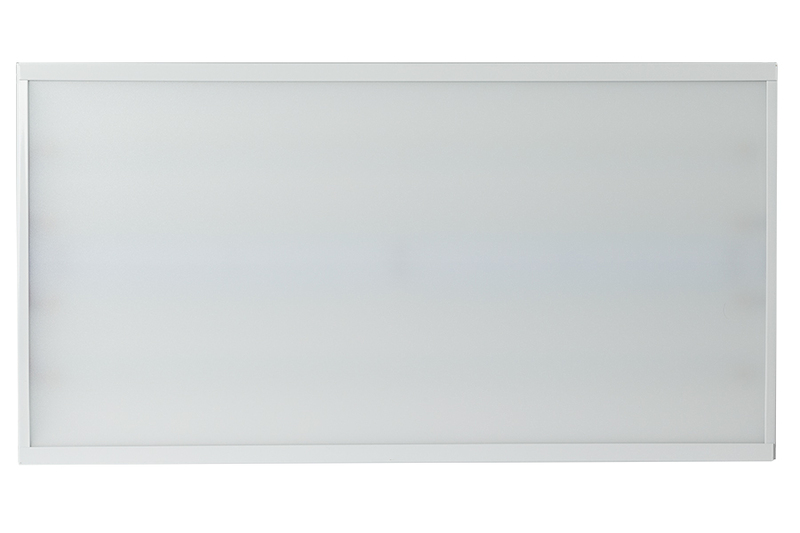 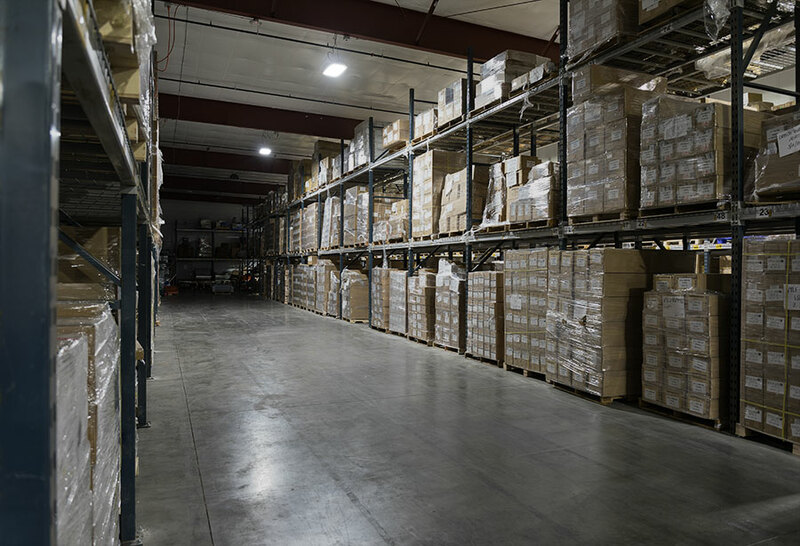 The LED high-bay light comes with a constant-current driver and is dimmable with a 1-10V dimmer. 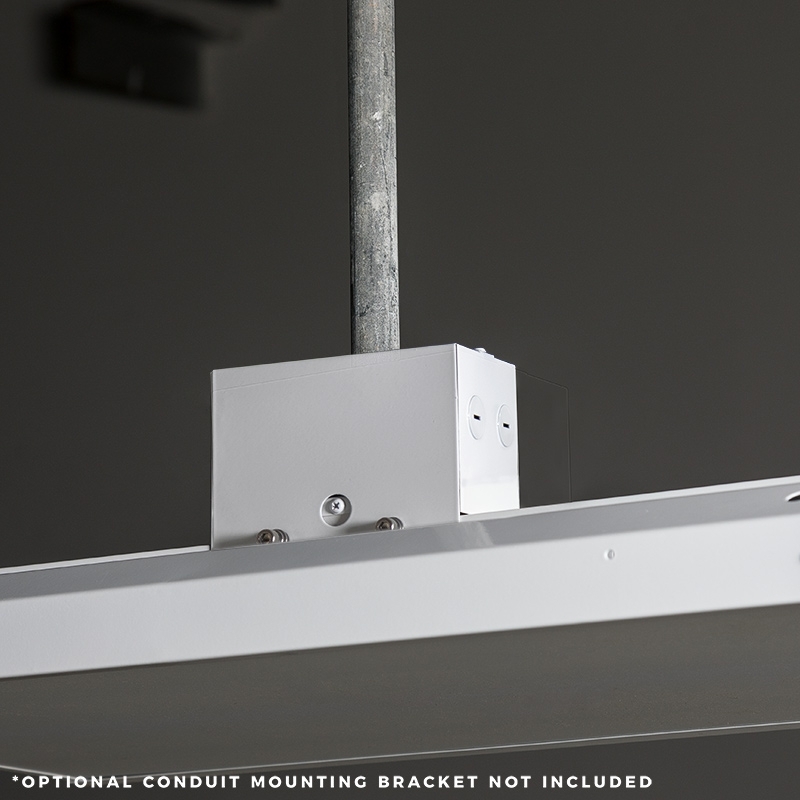 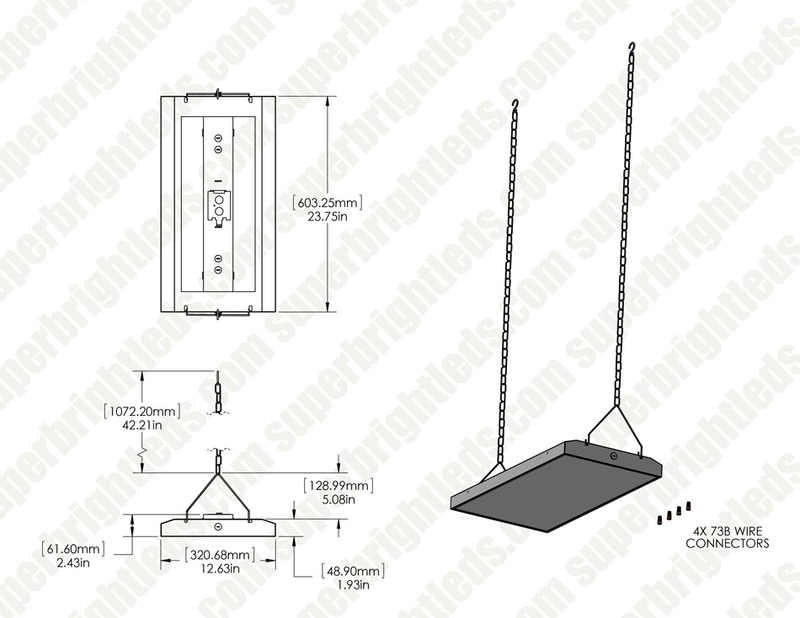 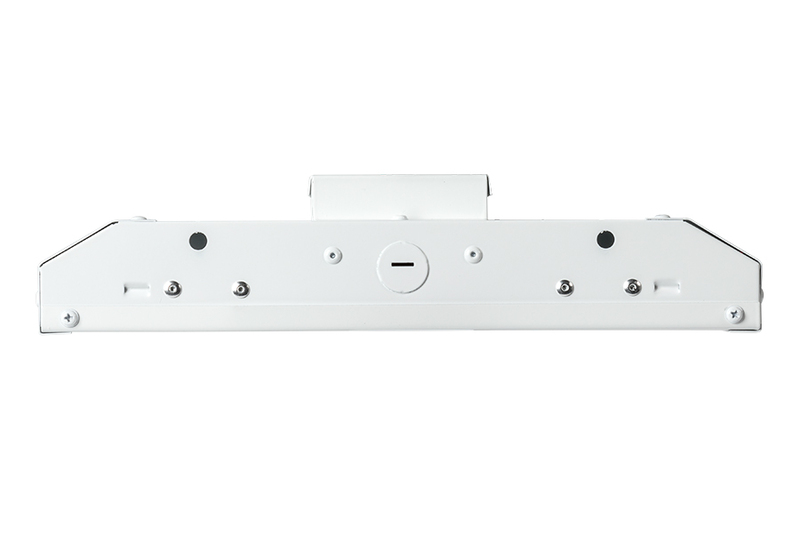 Easily install this UL-Listed light fixture with included triangle hooks and suspension chains or with a rigid conduit mounting bracket (sold separately). 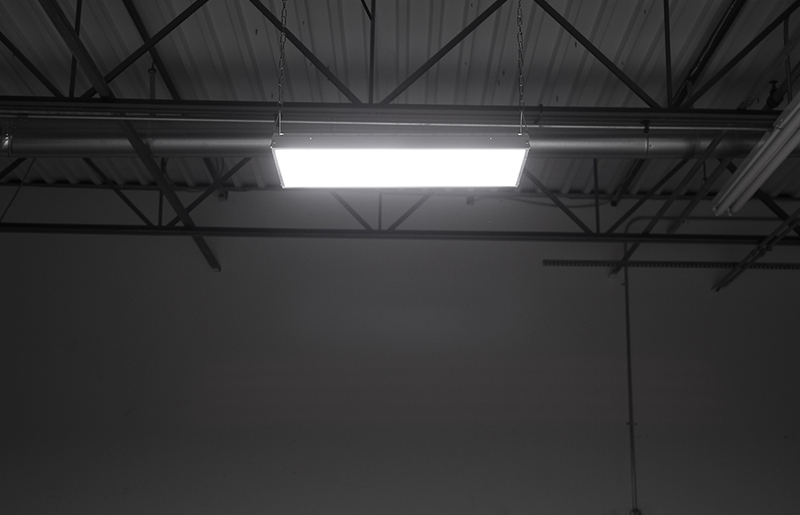 The linear high-bay light is perfect for warehouse lighting, factory lighting, tunnel lighting, supermarket lighting, and more. 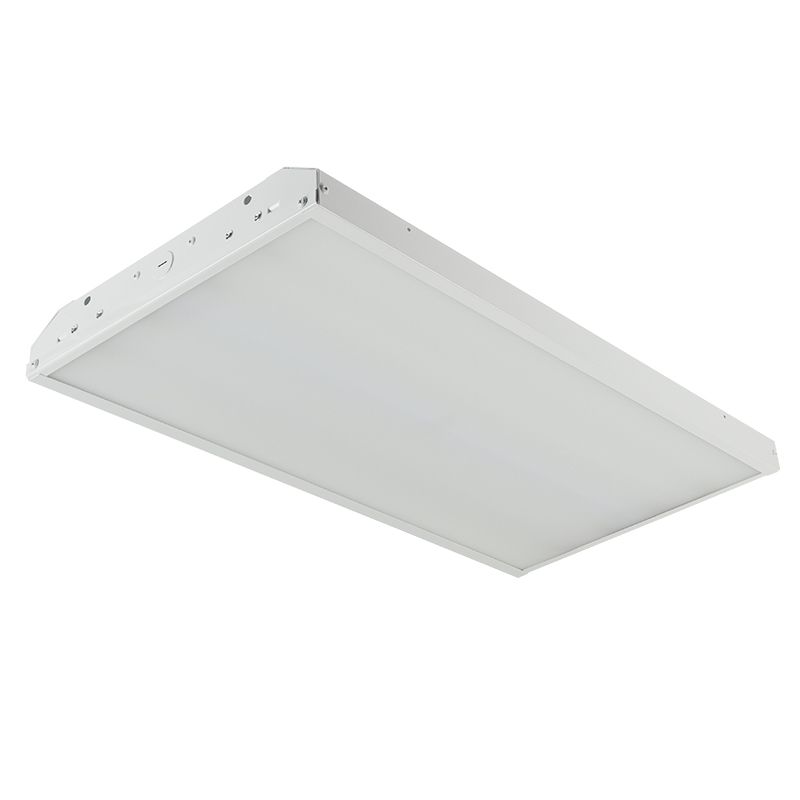 See similar 110-watt fixture.